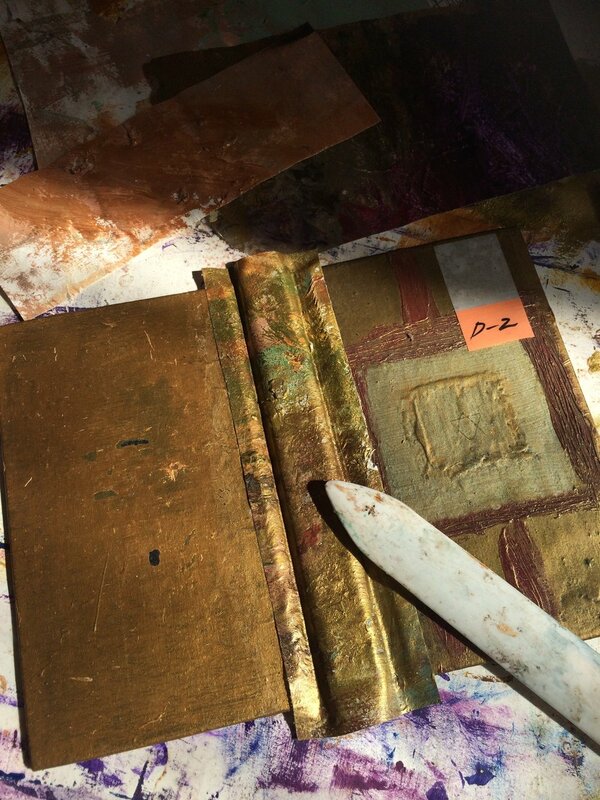 I was recently commissioned to restore some old art journals belonging to Ayessha Quraishi, an artist based in Karachi who has been keeping art journals since the 90's. Her art is a form of abstract employing gestural markings. 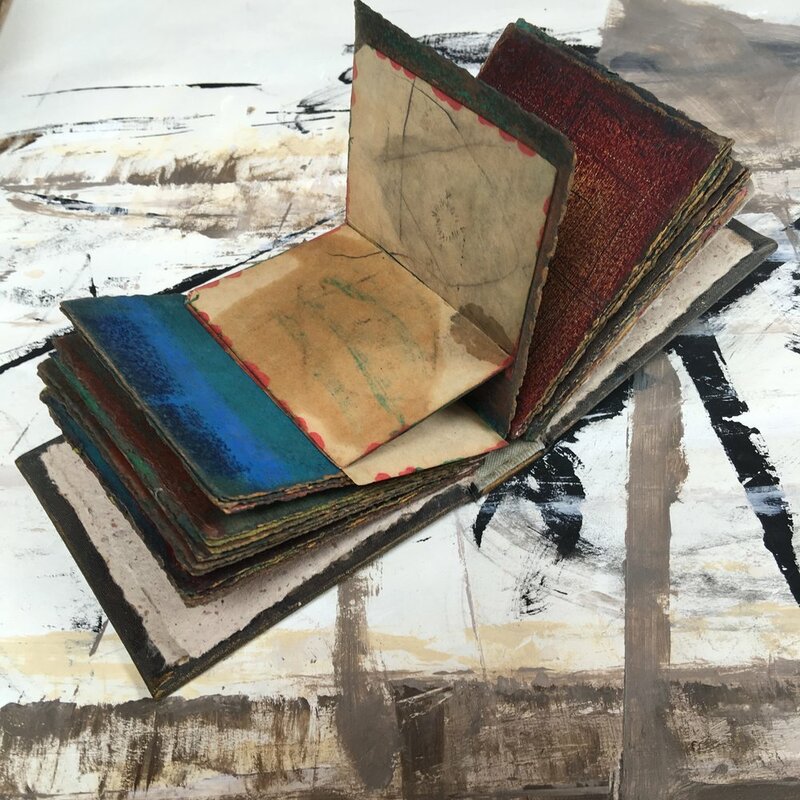 I was a little nervous to take these objects of art apart, but after saying a little pray and taking a deep breath, I began to repair the damage and restore these beautiful and intriguing little books, giving them a new lease of life. This Japanese stab bound rice paper journal had come apart at the spine, once reinforced, it was stitched back together again with waxed linen cord. The cover was then sealed to keep the rice paper from ripping. These smaller case bound journals were a little trickier to rebind as Ayessha had filled them with memorabilia over the years which had caused the spines to bulk and eventually split. The spines had to be reinforced with new book cloth and then painted to match the weathered gold of the covers. Some pages need to be re-hinged. Each folio was then cleaned of old glue and thread before reordering the signatures and stitching back together using a herringbone variation on coptic binding. I hope these books will bring many more years of joy to whoever flips though them.